Mmm, crustless egg pie for dinner. 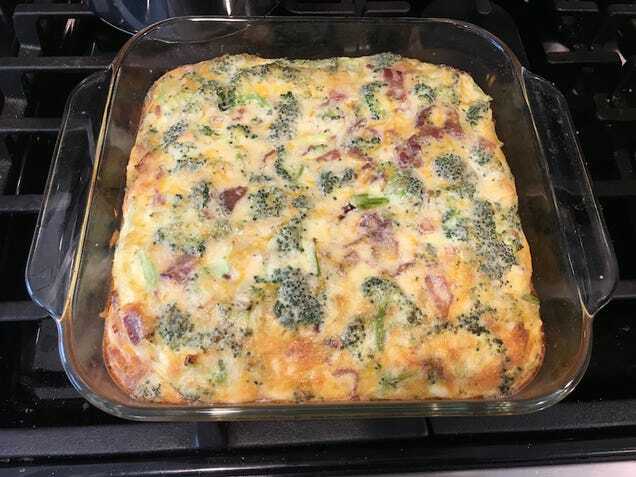 Eggs, milk, cheddar and gouda cheese, broccoli, bacon, onions. My kids actually like this.